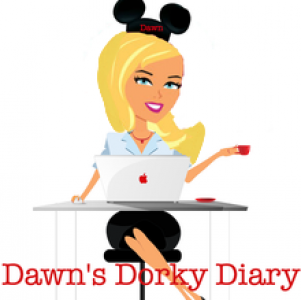 Dawn Does Disney’s Wilderness Lodge “Resort Activities!” – Travel, Family & Fun rolled into one! When referring to Walt Disney World Resort Hotels, what do Lincoln Logs, Bison Topiaries and American Craftsmanship, have in common? If you thought of the Grand Floridian– you’re wrong, if you said the Polynesian Village Resort– Wrongo, but if you guessed- Disney’s Wilderness Lodge, ding, ding, ding, now your cooking with gas! Disney’s Wilderness Lodge is themed after National Parks of the Pacific Northwest. This hotel exudes a certain stillness that the adjacent more expensive Disney Resort Hotels do not. If you want serene, deluxe accommodations located within the Magic Kingdom Resort Area, then this is the ideal retreat for you. Watch the Fire Rock Geyser Blow- The infamous Fire Rock Geyser is a copycat of Yellowstone National Parks “Old Faithful.” It’s located between Copper Creek Springs Pool & Bay Lake. The geyser rockets water 120 ft high, every hour from dawn till dusk. Hidden Mickey Scavenger Hunt- Trot over to guest services in the lobby of the Wilderness Lodge, where you will find your scavenger hunt clues! This 25 minute hidden Mickey exploration will have you humming zip-a-dee-doo-dah! Pool-time is great for chillaxing with your family. Copper Creek Springs and Boulder Ridge Cove Pool are perfect for doing just that. Don’t forget the little ones, they will go bananas over the slide and the Kid’s Splash Play Area. Partake in the daily (9-6) hosted Games at the Copper Creek Springs Pool. Movie Under the Stars– Daily at 8p.m. in front of Teton Boat & Bike Rentals. Rock-ON in front of the gorgeously designed Grand Canyon Fireplace for the ultimate relaxation and possibly a little snoozy woozy. Watch the Electrical Water Pageant on Bay lake, if you’re lucky maybe from your balcony. Get your fitness on at the Wilderness Lodge Jogging Trail– 2.5 mile path throughout the resort grounds or explore the shorter shaded 0.75 mile trail that connects Disney’s Wilderness Lodge to Fort Wilderness Resort & Campground. Salon by the Springs– Manicures, Pedicures and Hair Services are available daily 9-5pm. Reservations 407-WDW-SPAS. Fish from the dock or on a private fishing excursion on Bay Lake, its up to you. Workout at Sturdy Branches Health Club– Open to guests of resort only. Open 24/7, seven days a week. Play Board Games like Checkers and Dominoes in the hotel lobby. Review all of the museum quality artifacts found around the premises- Walt’s Carolwood train cars, headdresses and totem poles to name a few. It’s hard to find time to visit the parks with so much to see and do at Disney’s Wilderness Lodge. Explore the possibilities listed above with your tribe on your next Walt Disney World Resort vacay! Previous Post Review of Disney’s Wilderness Lodge- Geyser Point Bar & Grill!